At the recent USCCB meeting, my intention was to take notes in order to make a report to the people of the Archdiocese. As the meeting unfolded, it became more and more challenging to take note of everything in a very far-ranging and often confusing discussion. And so I thought I would comment on what I regard as hot button topics during the meeting. 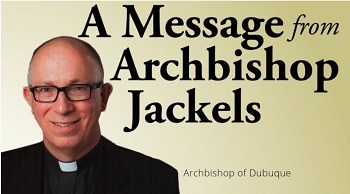 Read Archbishop Jackel’s complete statement here.